On average, around 96% of people who visit a website will leave without generating a lead or converting. Many have no intention or desire to convert. They are probably not be in the market for what you sell or offer. Some will have arrived on your site by mistake or are simply doing research. However, there is a proportion of visitors who are currently in the market for your product or service, but abandon your site. These visitors could potentially be persuaded to buy if they are engaged in the right way and your value proposition is sufficiently compelling. This is where your conversion activity needs to be targeted – site abandonment may be costing you dearly. A systematic approach to conversion rate optimisation will allow you to identify areas for improvement. Beyond this there are two kinds of tools that can respond to site abandonment and shopping-cart abandonment. By converting abandoning visitors you can significantly improve your conversion rate. 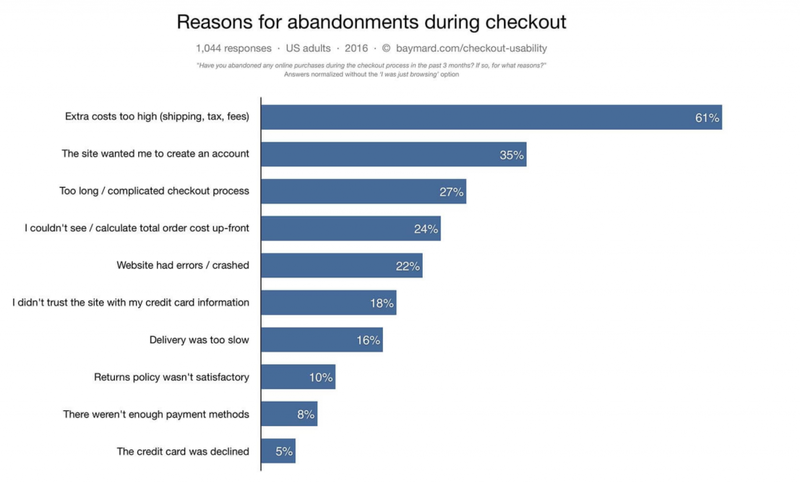 Shopping-cart abandonment is a massive problem for online retailers and if you can convert abandoning visitors you could massively increase revenues. Taking statistics from 29 different studies, the Baymard Institute in the UK, have estimated that around 68% of online shopping carts are abandoned. Just reducing this rate by 1% could increase revenues by millions of pounds a year for major retailers. For those visitors who you don’t have contact details for or abandon your site before they login, there is onsite re-marketing. This uses real-time personalised onsite messaging to target form abandonment and other revenue-reducing behavioural issues (e.g. when visitors move to exit your site or become inactive). Onsite re-marketing helps to increase visitor engagement levels and should allow you to convert more abandoning visitors by reducing site abandonment. Why don’t sites use these solutions? Many sites use in-house solutions, such as email marketing cycles for newly registered customers, to try to engage non-converting prospects. However, relatively few companies have the resource or expertise to develop fully-integrated solutions which can email prospects in real-time or conduct onsite re-marketing. Further, many sites have not fully integrated the necessary analytics onto their web platforms to enable visitors to be tracked at the level required for these solutions. However, sites which invest in the necessary technology are likely to benefit financially as they will be able to deliver a much more personalised user experience than those who don’t. I’ve summarised below the ten leading providers of shopping-cart abandonment and onsite re-marketing tools to allow you to minimise the impact of site and shopping cart abandonment. 2. 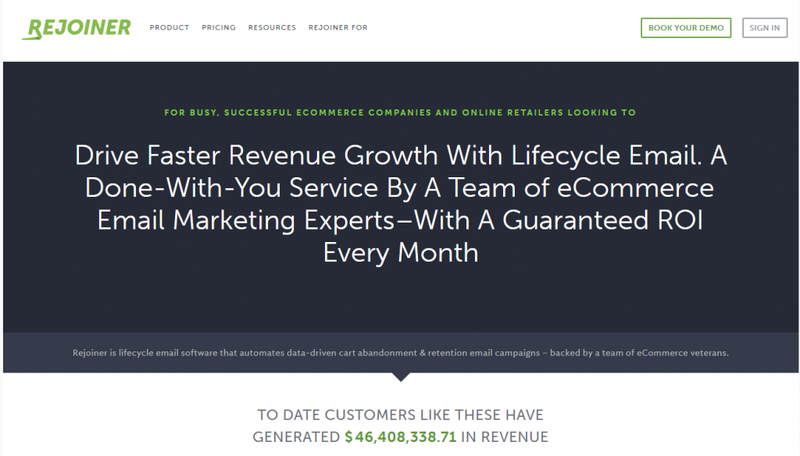 Communicator: Provides automatic email campaigns for shopping-cart abandonment. Recommends that emails are sent within 20 minutes of abandonment. On average it achieves a conversion rate of 5.2% using highly relevant and personalised communications. 3. 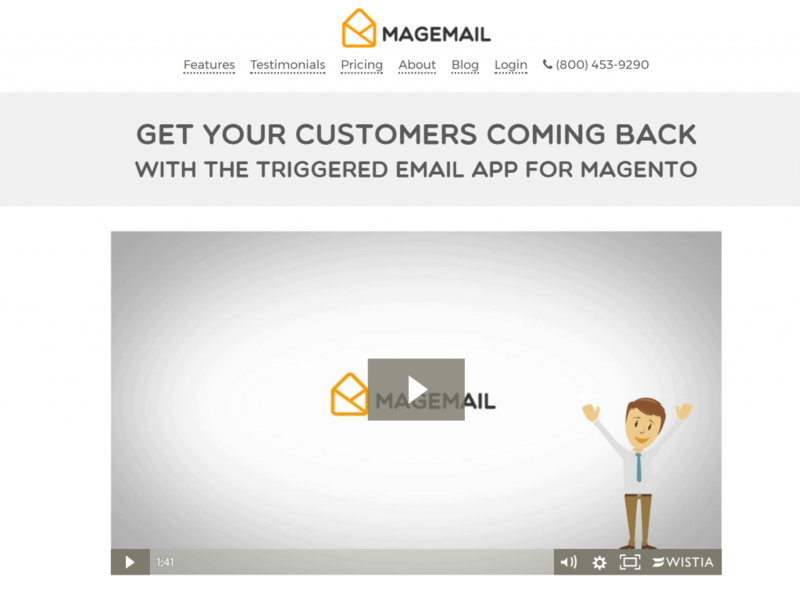 MAGEMAIL: A triggered email app for Magento sites. This app automatically emails customers who start to checkout but don’t finish. It also offers automated product recommendations based upon past purchases, wish list reminders, win-back campaigns, purchase anniversary emails, replenishment reminders and birthday emails. MageMail also offers you the ability to A/B test and optimise subject lines, content, discounts and sending frequency. 4. NUDGR from Formisimo: This is a solution to respond to abandonment of forms and checkouts. 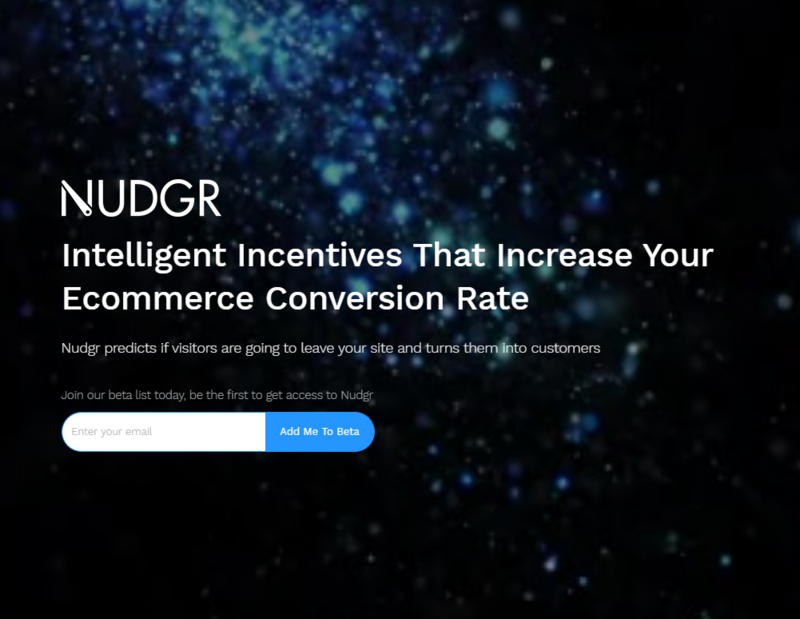 It is a machine learning based tool which uses algorithms to precisely identify patterns of behaviour that result in customers abandoning your site. This allows the tool to accurately predict customer intent and offer timely interventions to reduce site abandonment. The solution allows you to tailor offers according to your customers and campaigns. 5. Rejoiner: Offers automated email campaigns for shopping-cart abandonment, and personalised behavioural email campaigns (e.g. for partial web form submission) to re-target users who exit your site. Optimises campaigns through personalisation, segmentation and A/B testing email campaigns. 6. 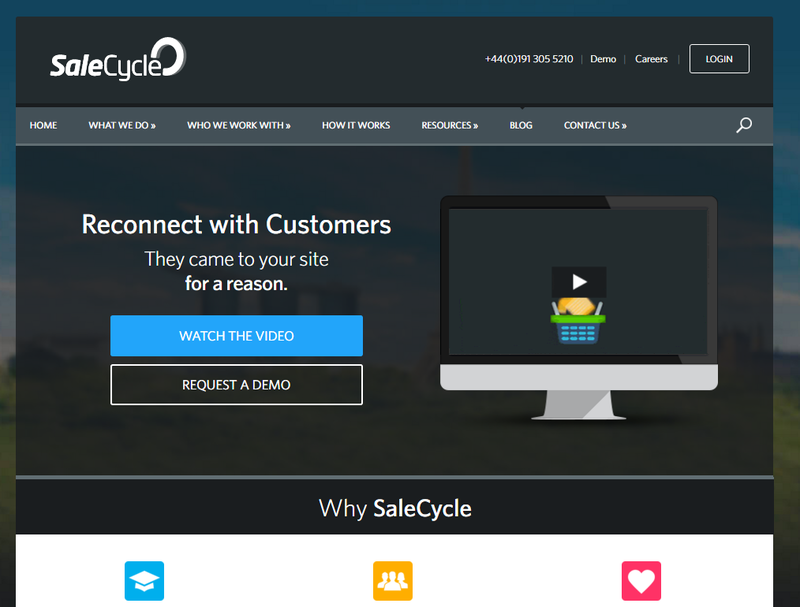 SaleCycle: Delivers both onsite re-marketing using targeted messages to 100% of visitors as they are about to leave your website and shopping-cart or form abandonment email re-marketing. Offers A/B testing of emails as standard and claim email re-marketing increases sales between 4.5% to 6%. 7. 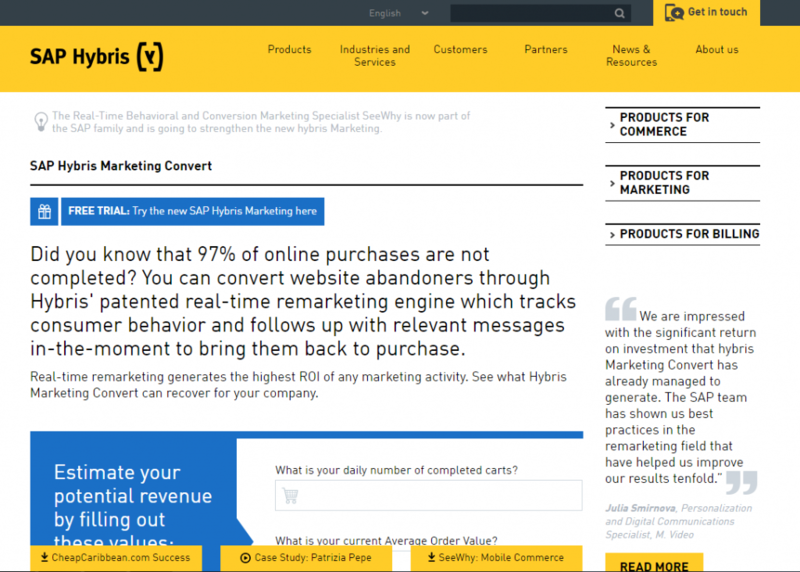 SAP Hybris: Conversion Manager triggers real-time onsite messaging, personalised emails and re-targeted advertisements for shopping-cart and form abandonment. Offers A/B testing as standard. Browser Manager triggers 1 to 1 real-time campaigns based upon visitors browsing behaviour (e.g. visitor goes to exit site). 8. ScreenPopper: Helps you convert more users through a pop-up appearing on top of a web page, with the goal of promoting a single call-to-action. The benefit is you get the visitors immediate attention, which can be used to for conversion purposes. If your goal is to get more newsletter sign ups, you can use the pop-up to offer an incentive in exchange for an email address. Free 14 day trial. 9. 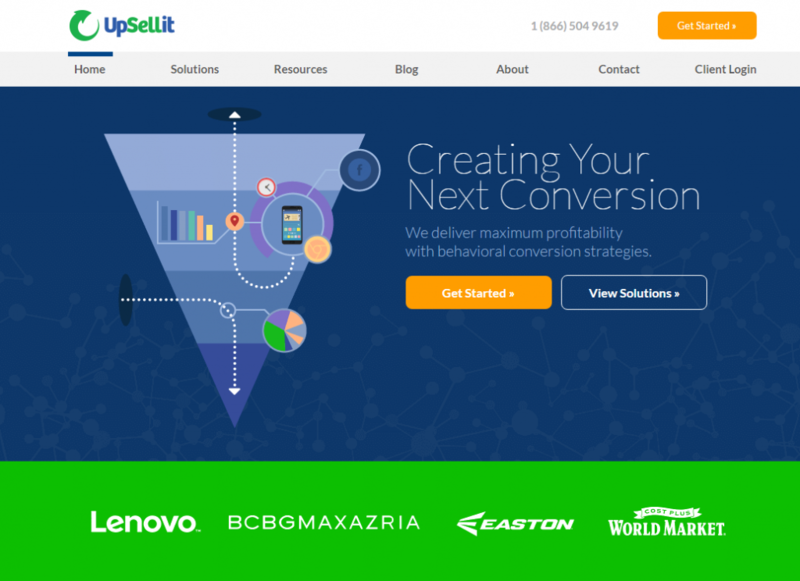 Upsellit: Delivers a range of solutions for shopping-cart abandonment, including live chat, personalised automated email campaigns, real-time site abandonment detection and targeted onsite re-marketing offer campaigns. 10. VeContact: Collects shopping-cart abandonment data to create real-time personalised emails that seek to bring lost customers back to their pre-populated basket. 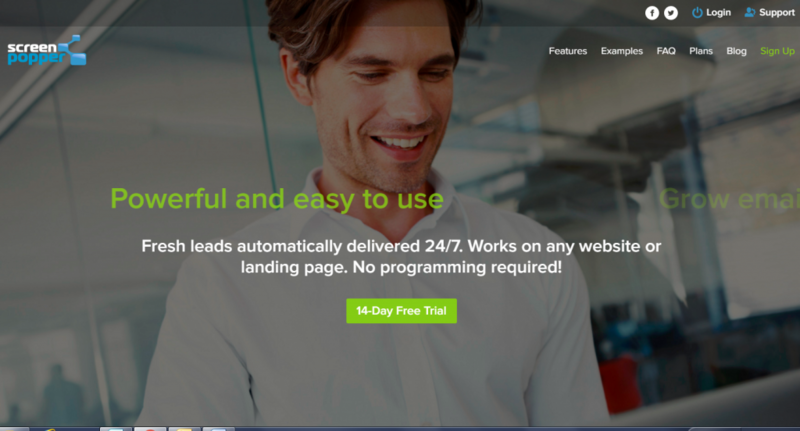 Claims to achieve a conversion rate of up to 60% of abandoned visitors. 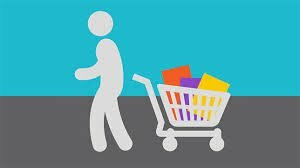 Site and shopping-cart abandonment costs e-commerce retailers millions of pounds a year is lost sales. Shopping cart abandonment and re-marketing tools can help minimise the financial impact of site abandonment. As solutions increasingly employ artificial intelligence to determine the timing and nature of interventions we should expect these tools to become more effective in the fight against site abandonment. Early adoption of AI site abandonment solutions is likely to become a major competitive advantage. AI has the potential to deliver a much more personalised and targeted approach to site abandonment. Companies that don’t use such technology may find their margins squeezed as they fail to maintain conversion rates. Thank you for reading my post. If you found it useful please share it using the social media icons below. Is Your Mobile Only User Journey Leaking Cash? Just wanted to say thanks for the Nudgr mention, appreciate you spreading the word! Hi Al, you’re very welcome. Does Nudgr have the capability to integrate in a native app? I’m doing some consultancy for a very high volume app and they might be interested in your solution.